Thanks to Sample Room, I was able to try this another sunblock from Daylong. Specifically it is for kids but it has a higher SPF so I thought I should try it and also to compare with the previous one that I used. 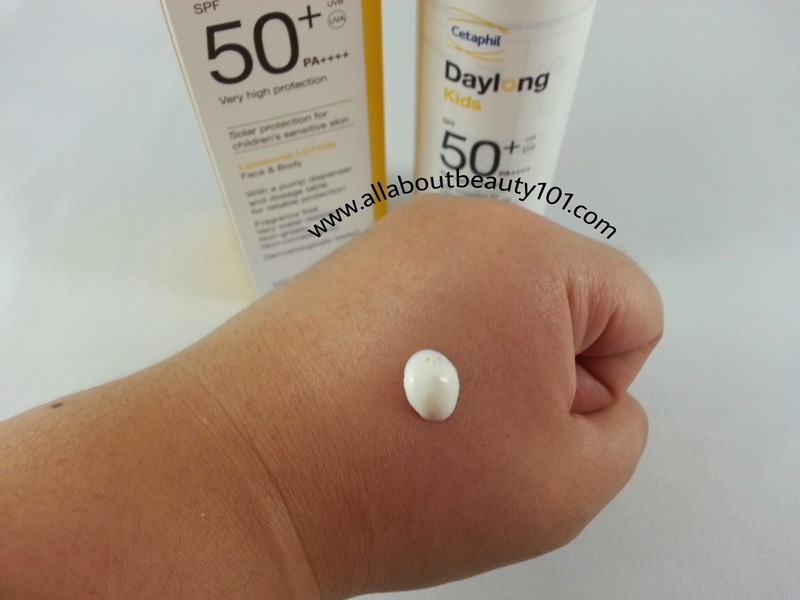 Link to previous review of Daylong Sunblock SPF 30 here. To try before you buy, sign-up at Sample Room. Link here. 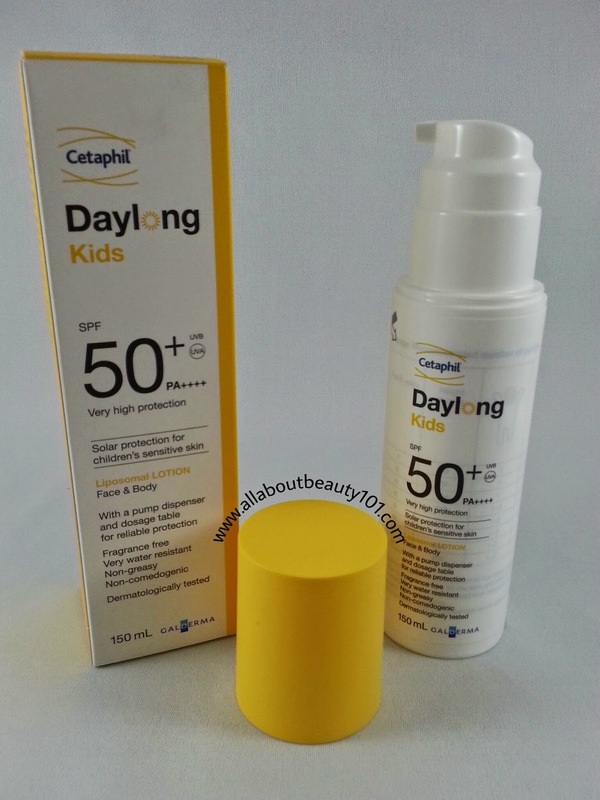 Product Description: Cetaphil Daylong Kids SPF 50+ Face and Body Lotion is a liposomal formulation that evenly spreads the UV filters across the skin for very high UV protection formulated for children's delicate skin. Photostable UV filters offer highly effective UVA and UVB protection. The pump dispenser provides a consistent amount of product for reliable protection. The liposomal lotion is easy to apply, absorbs quickly and contains panthenol, glycerin, aloe vera and vitamin E that nourish delicate skin. Suitable for children from 1 year and older. Fragrance ree, paraben free, Hypoallergenic. Storage and Application (as stated on box): Approximately 20 minutes before sun exposure, apply generously and allow to absorb into the skin. Avoid contact with eyes. Apply several times in order to maintain sun exposure, especially after swimming, drying off and sweating. Applying small amounts considerably reduces the protection. Avoid the intensive midday sun. Excessive sun exposure is hazardous. Even sunscreen with high SPF does not provide full protection against UV rays. Do not stay too long in the sun, even while using a sunscreen product. Do not expose babies and toddlers to direct sunlight. Sunscreen products can cause permanent discoloration to textiles and other materials. For external use only. Keep out of reach of children. Store below 25 degrees Celsius.